Hello to all TCB members and friends! 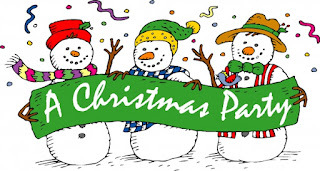 I am getting excited about the upcoming TCB Christmas party and I hope that you are too! Fantastic news – our meal will cost $8.95 per person instead of $10.95! Yes, that’s correct. Each individual will need to pay $8, and TCB will pay the balance. We will have turkey, mashed potatoes and gravy, dressing, cranberry relish, green beans, rolls, and pumpkin pie! All of this for only $8.95 per person. We also will be playing that favorite game we have played in the past. Some call it the Dirty Santa game, but I don’t like the sound of that. So, we will just call it the gift exchange game. Whatever you want to call it, if you want to play, you will need to bring a wrapped gift. Do not put a name on the package, and it should cost no more than $10. Game rules will be coming in a future email. This is not a gag gift game, but it should be a gift that you yourself wouldn’t mind taking home with you. We will have more coming in the future about the party, but just be sure to mark it on your calendar and plan to attend! Time: 3:00 PM to 7:00 P.M. If you would like to come to the party, but have transportation issues, please call me and we will do what we can to get you there. Get ready to bid! Get ready to buy! Having trouble reading prescription labels?